Installation view of “Altering Nativism – Sound Cultures in Post-War Taiwan,” Grand Prize winner of the 13th Taishin Arts Award. Courtesy Taishin Bank Foundation for Arts and Culture. TheCube Project Space’s exhibition, “Altering Nativism – Sound Cultures in Post-War Taiwan,” has won the Grand Prize of the 13th Taishin Arts Award, it was announced at a ceremony in Taipei on Jun 13. Presented annually by the Taishin Bank Foundation for Arts and Culture, the Taishin Arts Award is one of Taiwan’s most prestigious cultural honors. The Grand Prize winner receives NTD 1.5 million, while four other winners receive NTD 500,000 each. Co-curated by Amy Cheng of TheCube Project Space with Jeph Lo and Ho Tung-hung, “Altering Nativism” investigated the sound culture of post-war Taiwan through the presentation of historical documents, audiovisual archives and artworks. The exhibition took as its point of departure the album released by the now defunct Crystal Records in 1997, Lang lai le: Qingting, Taiwan de hua (Waves are coming: Listen carefully, Taiwan is speaking), a 47-minute recording of waves breaking against the shore at Ji’an Township in Hualien, Taiwan. 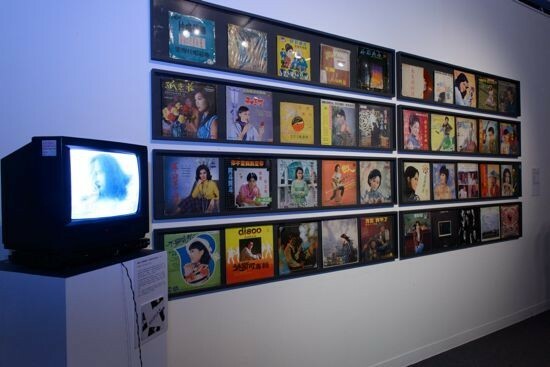 The curators further explored the relationship between sound culture and Taiwan’s modernity through albums, films, posters and other ephemera related to American pop music, the Taiwanese folk movement, and underground music. Additionally, sound and visual artists were invited to contribute works expanding upon the exhibition theme. The exhibition was held Feb 22 – Apr 20, 2014, at the Museum of National Taipei University of Education, and from the following Jun 7 – Sep 14 at the Kaohsiung Museum of Fine Arts. “Altering Nativism” beat out a formidable list of candidates for the Grand Prize, starting with internationally renowned film director and artist Tsai Ming-liang’s stage production The Monk from the Tang Dynasty, based on the travels of the historical figure Xuanzang, who was later immortalized in the 16th-century adventure novel Journey to the West. The other winners include media artist Yuan Goang-ming’s “An Uncanny Tomorrow,” held at the gallery TKG+ Taipei; “Home: Records of the Hongmaogang Village Reolcation” by Chen Po-i; and WCdance’s Long River. The Grand Prize was determined by a jury of five international and Taiwanese jurors including Chiaki Soma, the director of Arts Commons Tokyo, from Japan, as well as Christian Rizzo, director of the Centre Chorégraphique National, Montpellier; Chiu Kun-liang, former chairman of the Council for Cultural Affairs and a professor at the Taipei National University of the Arts; the art critic Kuo Liang-ting; and the independent curator and art critic Guo Jau-lan. As with the previous edition, this year the Taishin Arts Award collaborated with TEDxTaipei to organize talks by the artists that were live-streamed online. The 13th Taishin Arts Award Exhibition remains on view at the Museum of National Taipei University of Education through Jul 26.